At The Sewing Machine Company, we understand that not everyone has the opportunity to learn to use a sewing machine whilst growing up. That is why we offer affordable dressmaking classes and Overlocking classes in Melbourne, to bring the joy of creating garments to a wider proportion of the population. Whether you are wanting to create items just for you and your family or make products to sell, our classes will help you to develop your skill set, learn to use all of the functions of your sewing machine and follow patterns accurately. If you have had your own machine for years or have never operated a machine before, we offer classes to suit your skill level. For those that are new to sewing, beginners sewing classes in Melbourne start with the very basic skills of threading the machine and creating simple stitches. You will also be taught how to maintain your machine, to ensure that you are getting the most from it. There is no need to be nervous about participating, our friendly instructors ensure that you master each skill before progressing. Before you know it, you will be creating practical items or works of art, whichever takes your fancy. To create garments with a professional finish, the use of more than just a standard sewing machine is optimal. The art of overlocking creates a neat edge to your fabric and ensures that any raw edges do not fray. With two needles and four spools of thread, the overlocker is a fairly overwhelming piece of sewing machinery. To help you master the use of this important machine, sewingmachines.com.au offer overlocker classes in Melbourne. Designed to help demystify the components of these machines and increase your confidence in the operation of them, we guarantee satisfaction with our products and classes. You will learn the skills to assemble garments from instructors experienced in using a range of modern machines. With almost 60 years of experience in all things sewing related, you will receive the very best tuition when you take sewing lessons in Melbourne. Conveniently located at 688 High Street Road, Glen Waverley, our facility is well equipped and accessible by both car and public transport. 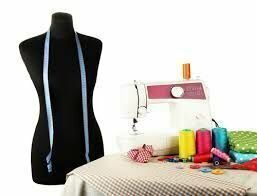 Offering both day and night classes, sewingmachines.com.au aims to provide high quality, user-friendly classes with an inclusive and supportive atmosphere. If you have always dreamt of making beautiful garments with your sewing machine, we can help you bring your creations to life.